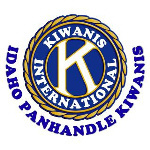 Once your application is completed and the "*jurying" process complete, the Panhandle Kiwanis Taste Team will notify all accepted vendors. Once vendors are notified that they have been accepted for the 2019 Taste of CdA event, payment must be received. Payment may be made ON LINE using the links shown below or via regular mail (USPS). On-line payments may be made with a Credit Card or via a PayPal account. Choose the appropriate booth size and click "Add to Cart".